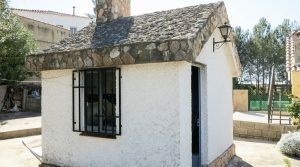 One of our large villas for sale Monserrat Valencia is the last property at the end of a short cul-de-sac road on a desirable urbanisation a short distance outside the town of Monserrat. 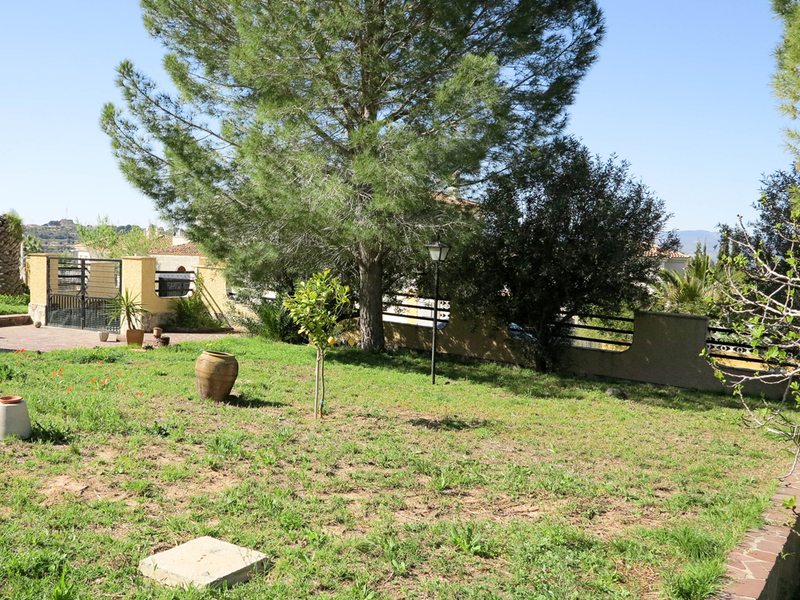 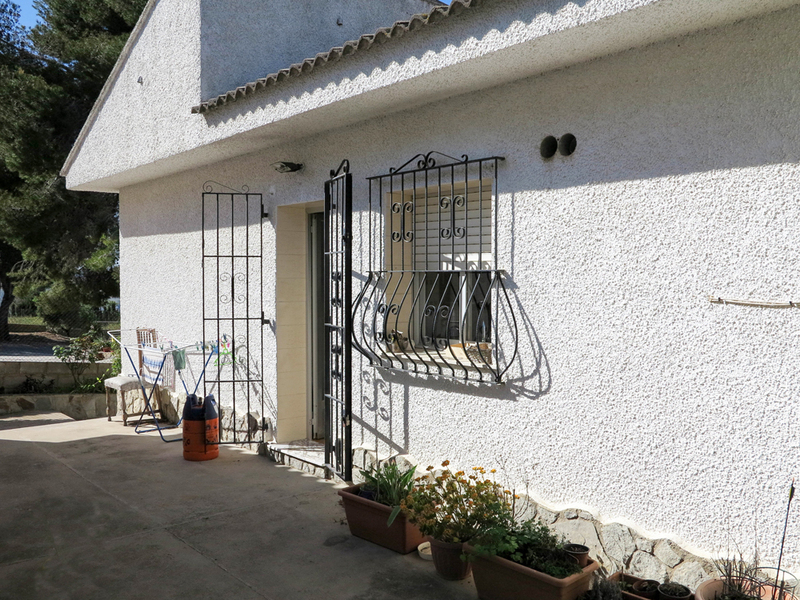 The property sits centrally on its fully fenced plot and with its slight elevated position it enjoys very good views and it is not overlooked. 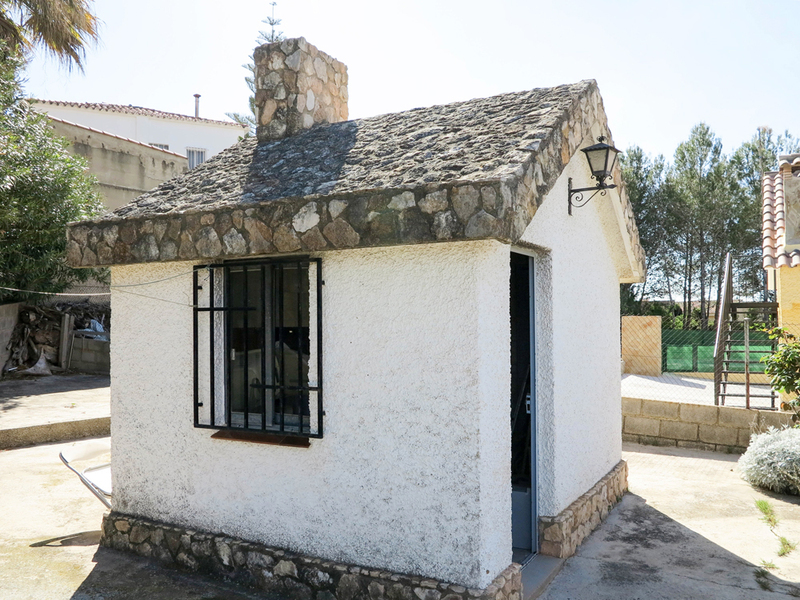 After passing though the double gated entry of the property on to the wide driveway you have a single garage in the under build section of the villa, together with a dry store room, which is the ideal place as a bodega. 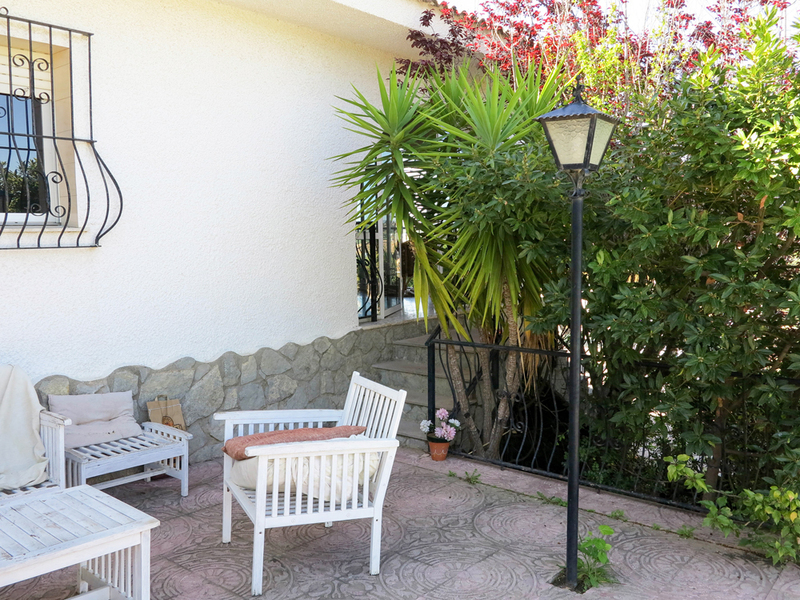 There are steps to the side of the villa taking you up to the main floor where you come to a covered terrace which has been glazed in so as to create a lovely enclosed dining area which over looks the gardens or where you can sit in the light and relax whilst reading a book. 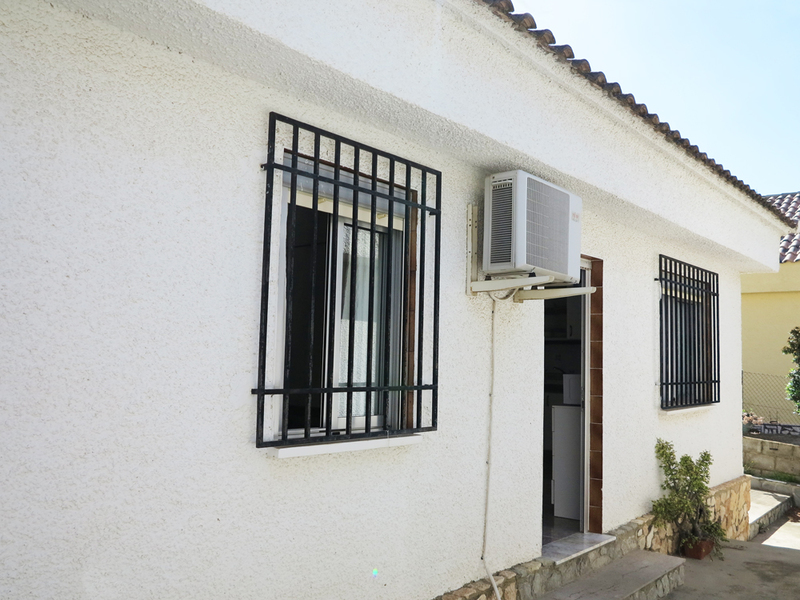 From this covered terrace you pass through to the lounge which is a good size and there is a hallway complete with hot/cold air conditioning unit facing the bedrooms leading from the lounge to the rest of the rooms. 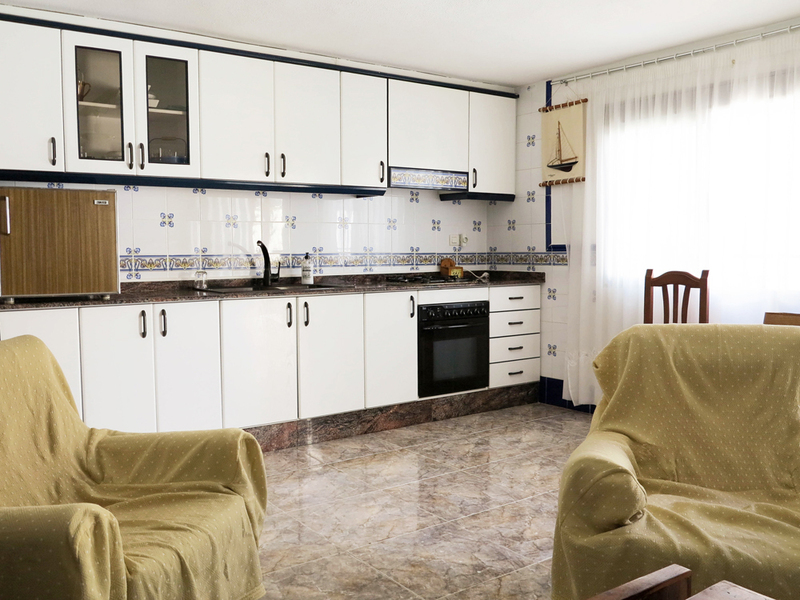 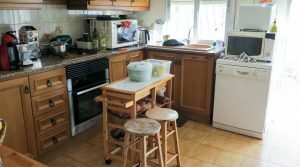 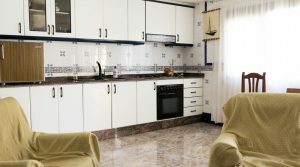 You have a country style kitchen which has a back door taking you out to the rear terrace and out to the swimming pool. 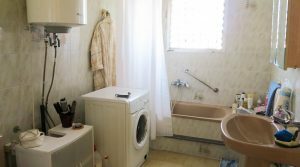 Then you have a family bathroom, two guest bedrooms with fitted wardrobes and the main bedroom which also has fitted wardrobes and patio doors taking you out to the terrace. 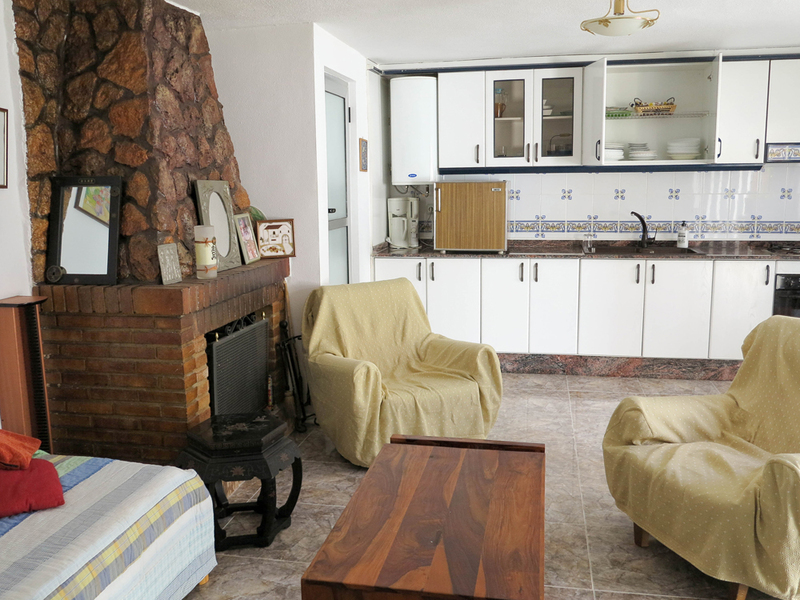 Across from the terrace at the rear of the villa (accessed from the kitchen), you have another detached building where there is a completely self-contained apartment which has a large open plan lounge/dining room with a kitchen. 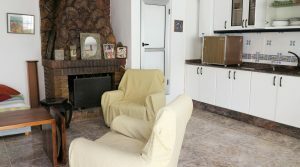 This large room has a log burning stove with chimney which is a nice feature. 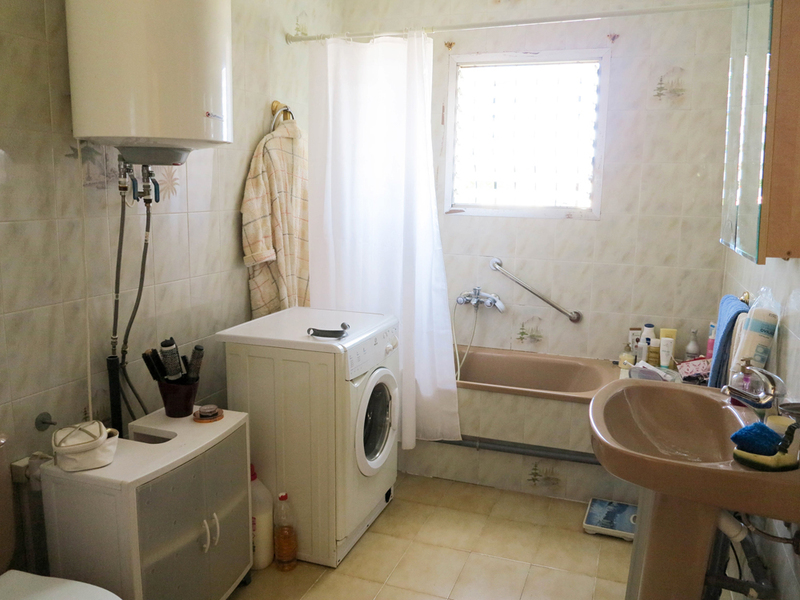 Then you have a family size bathroom and a double bedroom with a fitted wardrobe space. 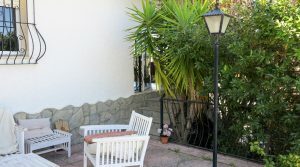 Outside the apartment there is a terrace space with a grapevine canopy. 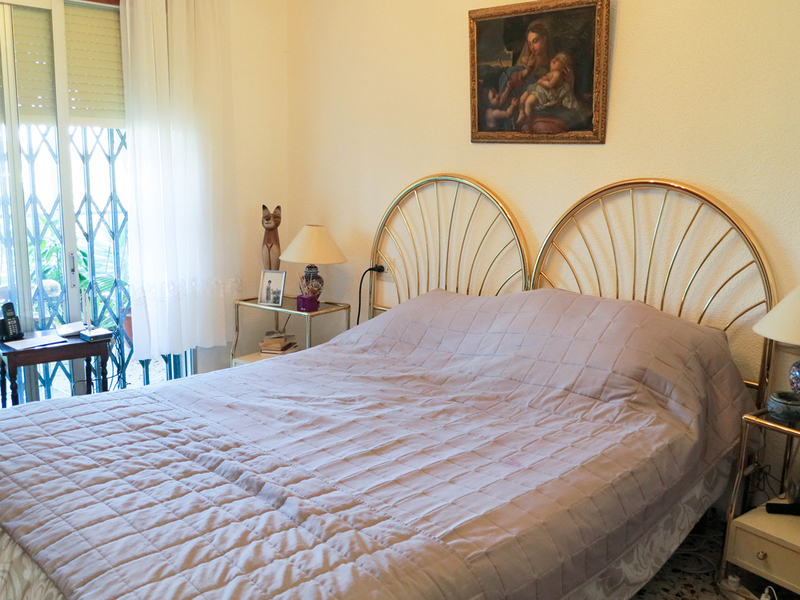 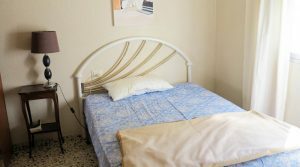 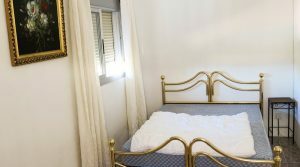 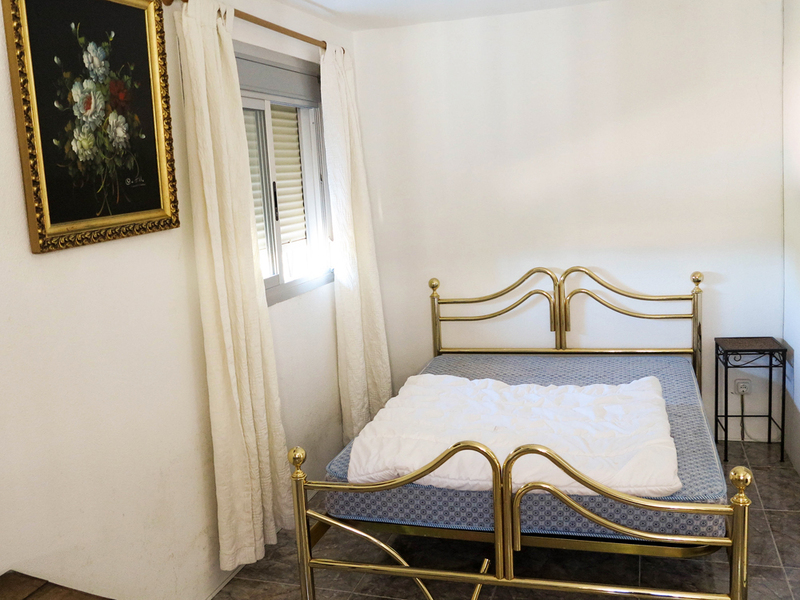 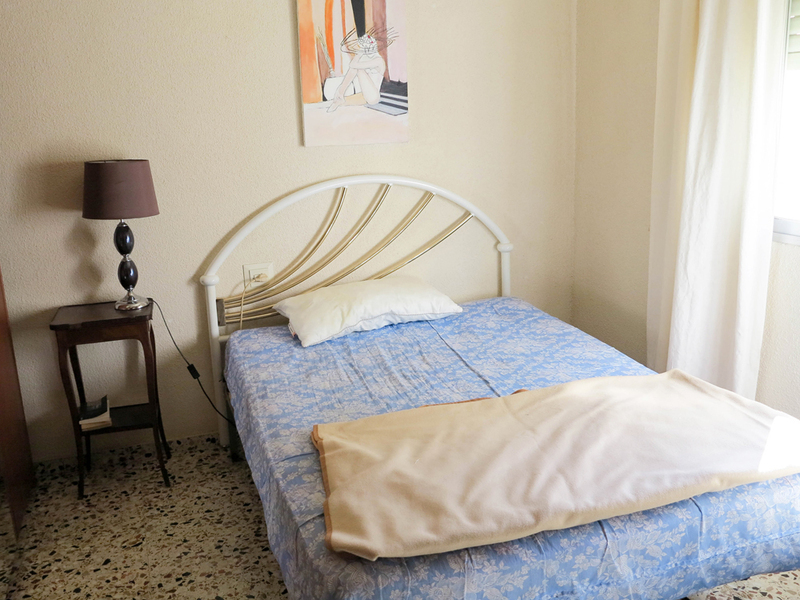 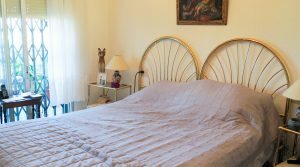 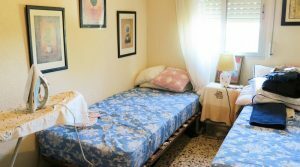 Inside this self contained apartment you have hot/cold air conditioning and this apartment can easily be utilised by you for Airbnb, bed and Breakfast business or you have it as a very nice accommodation to offer you visiting friends and family. 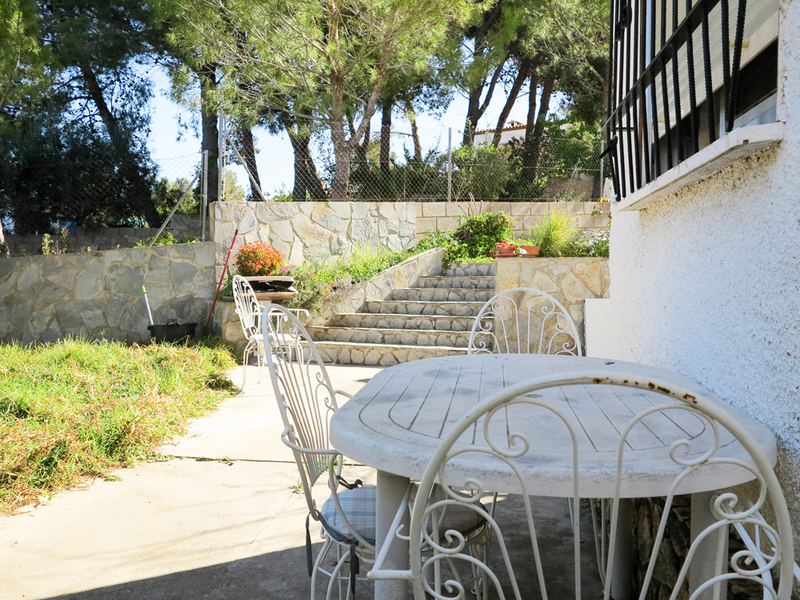 Also in the gardens towards to rear, you have another terrace space where you have the outside kitchen/paellero. 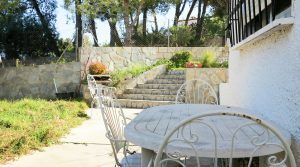 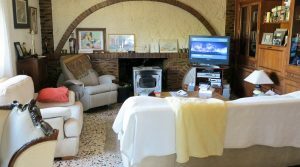 To the side of the villa you have a very impressive 10m x 5m tiled swimming pool with a large surrounding terrace and where you have some lovely views overlooking your gardens. 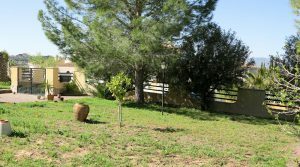 Within the gardens you have a good selection of trees including fig, lemon, orange, olive and of course some beautiful palm trees. 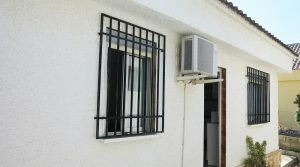 Underneath the pool terrace in the under build section of this terrace you have a door taking you in to the 20m² store room, where the filter and pump system for the swimming pool is located. 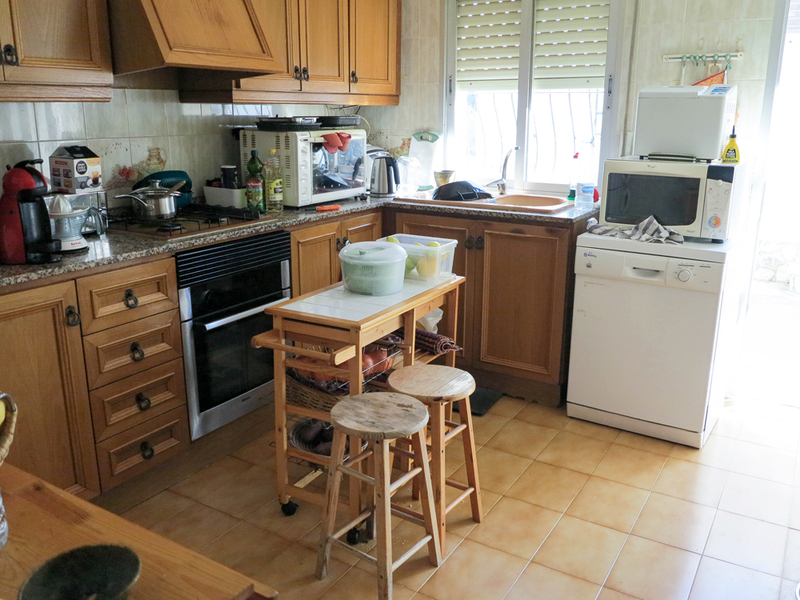 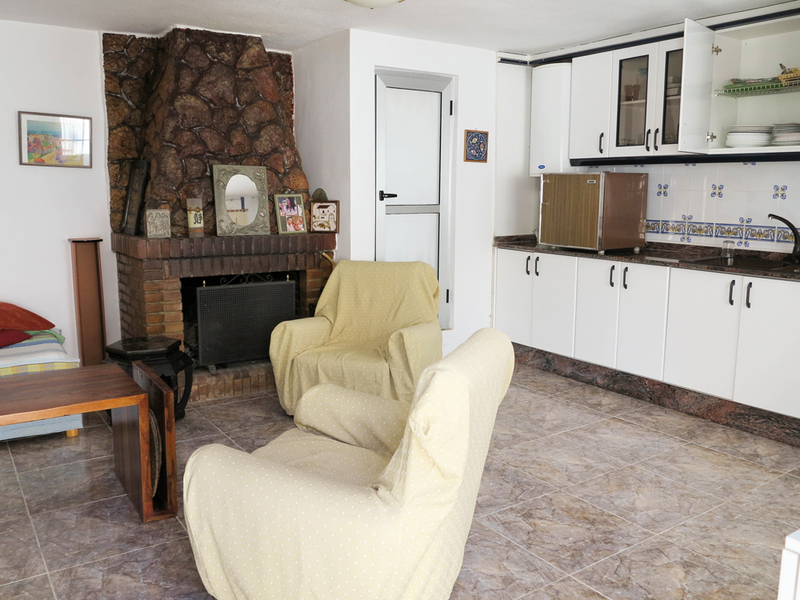 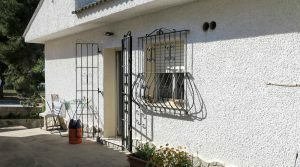 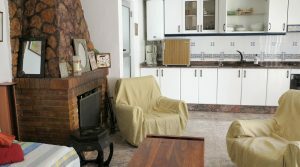 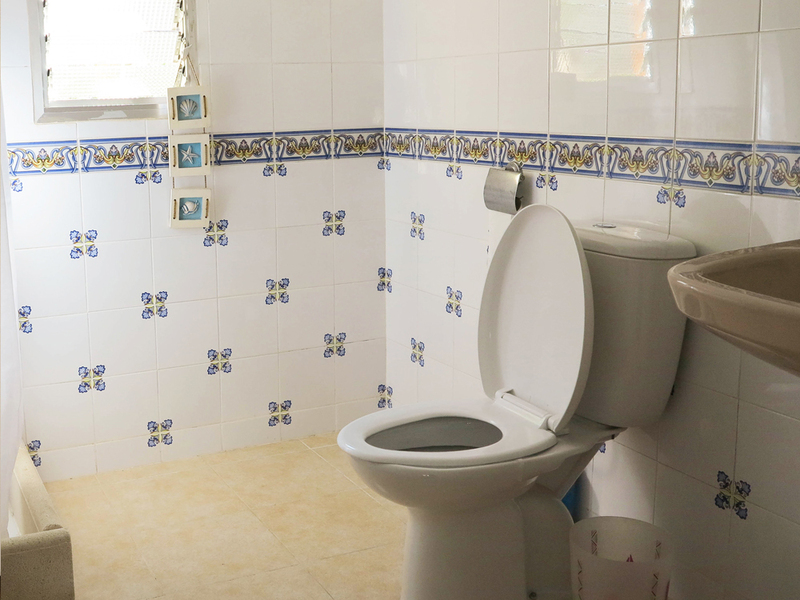 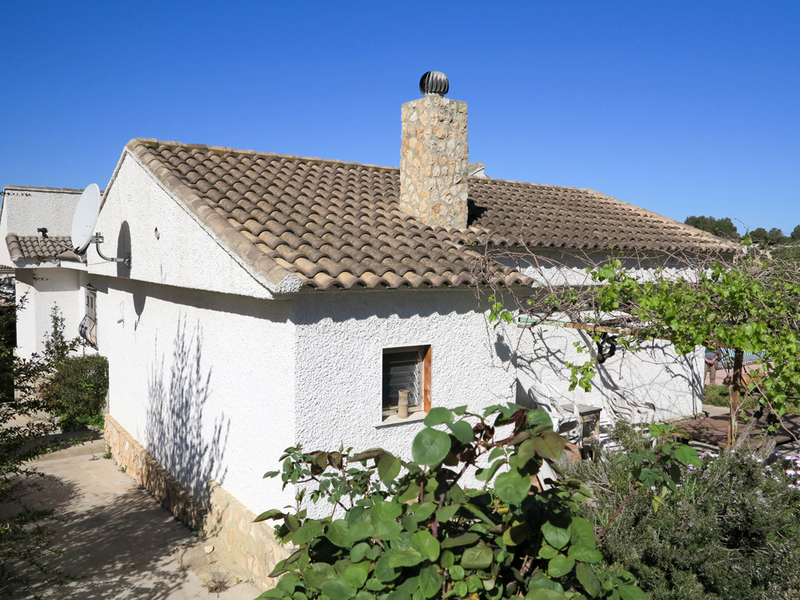 This large property in Monserrat is being sold partly furnished and broadband internet is connected. 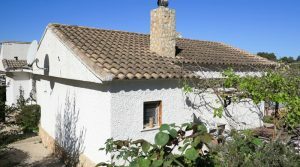 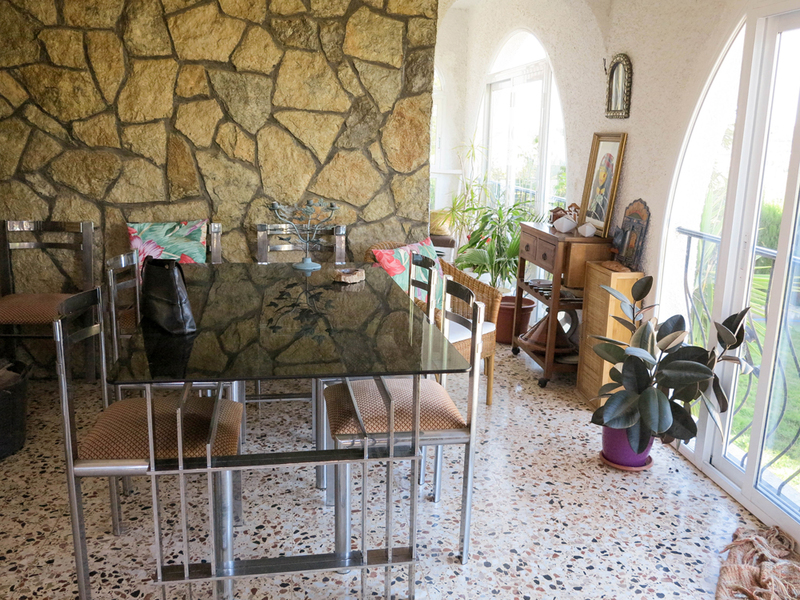 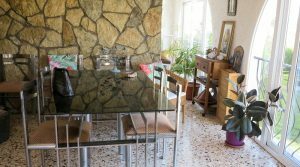 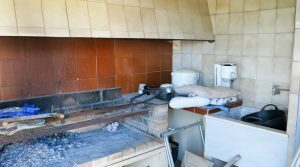 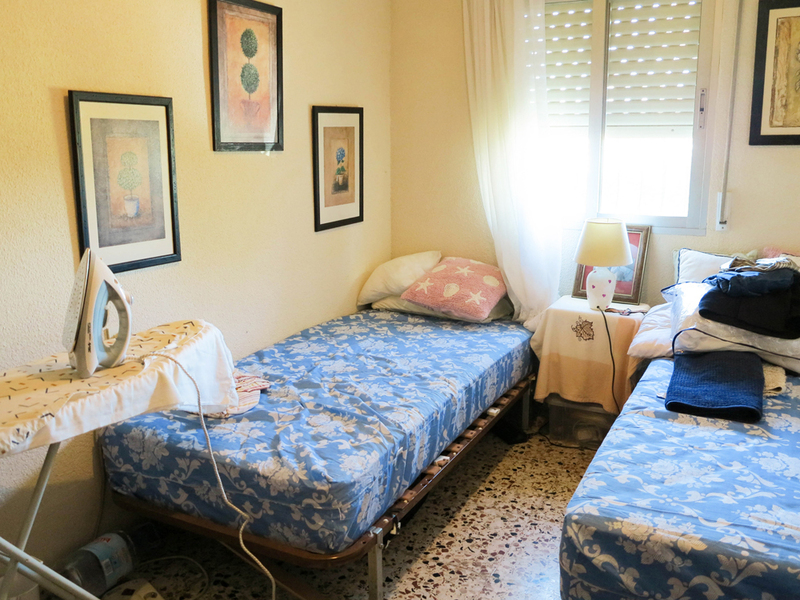 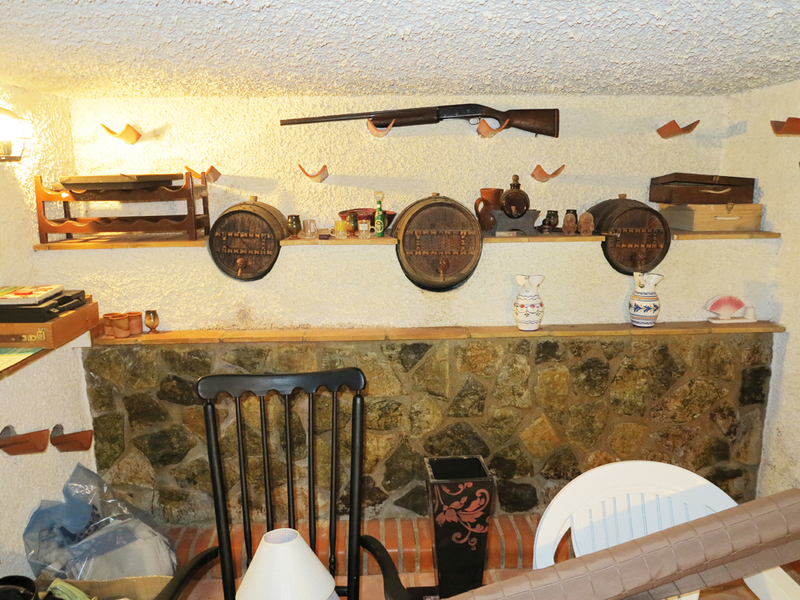 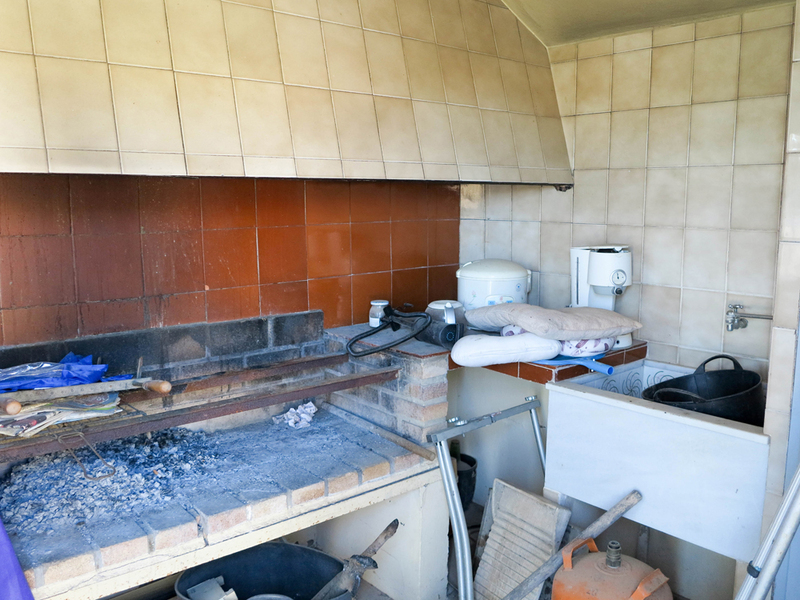 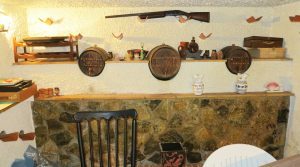 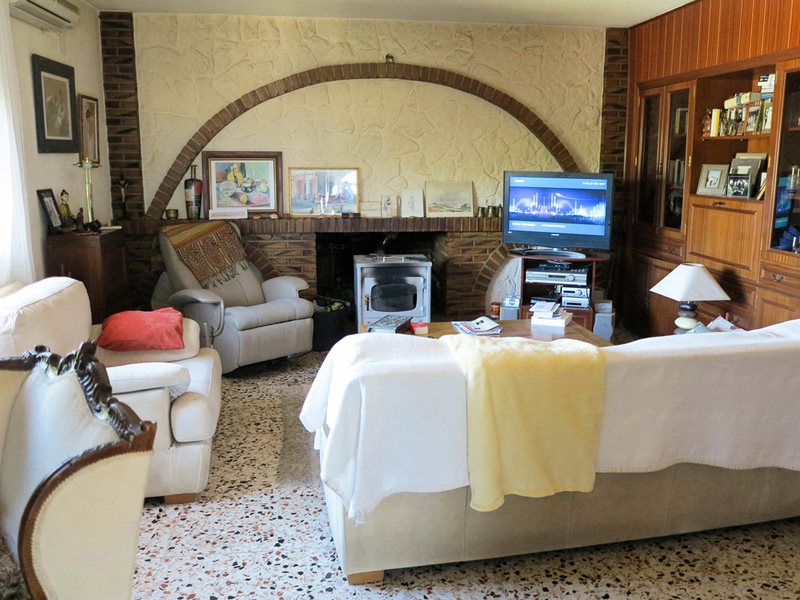 The annual council tax for this property (I.B.I) is 300 Euros per year.